Crabs are buoying fishermen's fortunes. A chilly, crisp wind whipped through the masts of the fishing boats in Bodega Bay Harbor. It created an eerie chatter among the rollicking boats. Slips sat empty, making the docks appear like a toothless smile. A procession of gray clouds filled the sky. But the blustery day gave a false impression of life around the North Coast fishing harbor. Because for the first time in a long time, fishermen here are excited. "We've all been fighting the elements and the conditions so many years,"said fifth-generation fisherman Tony Anello. "There's a light at the end of the tunnel so to speak." That light, is this year's decent Dungeness crab season. While no one will say it's great, everyone will tell you it's better. "Its a little better than last year," said Anello, leaning on his boat, the Annabelle. "We anticipated it being just the same, but it's showing in some spots just a little bit better." Fishermen have been fighting nature's quirks over the last few years. For the last two years, Federal regulators have cancelled the commercial salmon season because of low numbers of spawning salmon. The year before last, the Cosco Bussan oil spill delayed their crab season past the Thanksgiving holiday. Last year, there just weren't many crabs to catch. But this season, fishermen like Anello are rolling the dice and heading up North near Crescent City where the crabs are larger and more plentiful. They're coming home with their holds filled with crab, and a bellies filled with optimism. "It comes and goes," said fishermen Milt Harris. "But it's good to see it coming." 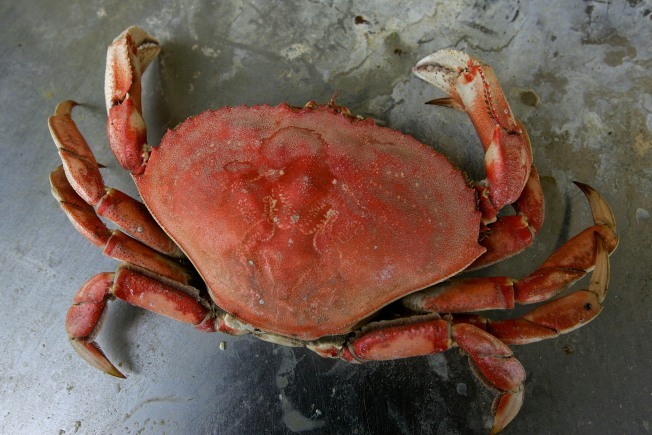 Fishermen say Dungeness crab run on a seven year cycle. They believe this year marks the first year of an upswing. They believe next year will be even better. "Nobody likes to have hard times,"said Harris. "Everybody likes the catch. That's what we like about it." Anello, who owns Spud Point Crab Shack with his wife Carol, hopes to sell about 3-thousand pounds of crab this weekend. He set the price at $2.49 a pound -- a far cry from the $6 a pound crab fetched last year. Anello says the lower prices are a reflection of the more plentiful crab this season. He says it's evidence that when fishermen get lucky, so does everyone else.